While federal investigators have yet to pinpoint the cause of an E. coli outbreak that sickened more than 50 Chipotle customers in nine different states, the Centers for Disease Control and Prevention is expected to announced today that the outbreak has come to an end. The Wall Street Journal, citing people familiar with the CDC investigation, reports that by declaring the outbreak over, the agency will have closed its probe into the issue. The outbreak is believed to have begun in mid-October 2015. According to a December 21 update on from the CDC, the last known related illness began in mid-November. Per that notice, 53 people in nine states are known to have been infected with one particular strain of E. coli. While the majority of illnesses were reported in Washington (27) and Oregon (13), where the outbreak began, there have also been three illnesses reported in each California and Ohio, two each in Minnesota and Pennsylvania, and one each in Maryland, Illinois, and New York. 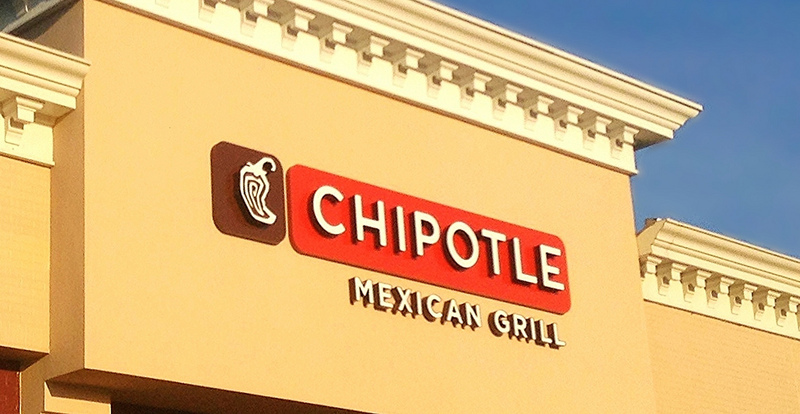 Around the same time as that outbreak, more than 150 students in Boston contracted the norovirus from an on-campus Chipotle, while yet another E. coli outbreak spread to three states. While we don’t know what caused the soon-to-be-closed outbreak, raw vegetables can often be the culprit. To that end, Chipotle has already discussed some changes to its food prep and cooking procedures. These include dipping onions in boiling water to kill germs, adding the cilantro to the rice when the rice is still hot, using lemon and lime juice to kill pathogens in onions and other fresh ingredients. Additionally, Chipotle will begin pre-shredding/chopping many non-meat ingredients — cheese, onions, tomatoes, cilantro — at centralized locations, rather than at the stores. That would allow Chipotle to test samples of these ingredients before they are shipped out to restaurants. Chipotle’s stock price an took a beating because of all the negative publicity. The company has advised investors that it could be a few rocky quarters before Chipotle sees a definitive, positive improvement.